A selection of quality Centre Door Knobs suitable for Front Doors with EIGHT finish options: Polished Brass, Satin Brass, Polished Chrome, Satin Chrome, Polished Nickel, Satin Nickel, Matt Bronze and Antique Brass. Door knockers from the Heritage Brass Collection available in Satin Nickel, Antique Brass, Satin Chrome, Polished Brass and Polished Chrome finishes. A selection of quality Door Bell Pushes with EIGHT finish options: Polished Brass, Satin Brass, Polished Chrome, Satin Chrome, Polished Nickel, Satin Nickel, Matt Bronze and Antique Brass. 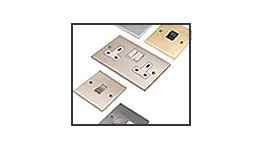 A selection of quality Letter Plates and inner Letter Flaps suitable for Front Doors with EIGHT finish options: Polished Brass, Satin Brass, Polished Chrome, Satin Chrome, Polished Nickel, Satin Nickel, Matt Bronze and Antique Brass. A selection of quality Door Chains and Cylinder Pulls with up to EIGHT finish options: Polished Brass, Satin Brass, Polished Chrome, Satin Chrome, Polished Nickel, Satin Nickel, Matt Bronze and Antique Brass. An extensive selection of high quality door handles on a backplate in a variety of designs and finishes. A selection of high quality door handles on a rose in a variety of designs and finishes. 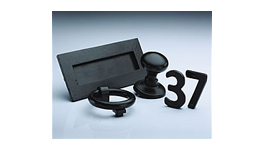 A selection of high quality mortice knobs on in a variety of designs and finishes. 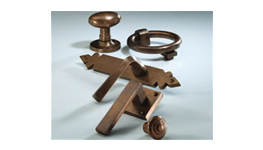 A selection of high quality escutcheons in a variety of designs and finishes. A selection of high quality turn and release locks in a variety of designs and finishes. Door Stops from the Heritage Brass Collection available in Bronze, Satin Nickel, Antique Brass, Satin Brass, Satin Chrome, Polished Nickel, Polished Brass and Polished Chrome finishes. Door Bolts (Straight Bolts; Necked Bolts; Flush Fitting Bolts) from the Heritage Brass Collection available in Antique Brass, Polished Brass, Satin Brass, Polished Chrome, Satin Chrome, Polished Nickel, Satin Nickel and Bronze finishes. 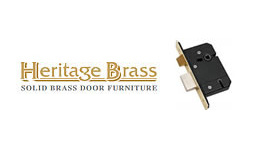 Door and Flush Pull Handles from the Heritage Brass Collection available in Antique Brass, Polished Brass, Satin Brass, Polished Chrome, Satin Chrome, Polished Nickel, Satin Nickel and Bronze finishes. Handrail Brackets from the Heritage Brass Collection available in Satin Nickel, Antique Brass, Satin Chrome, Polished Brass and Polished Chrome finishes. Hooks from the Heritage Brass Collection available in Bronze, Satin Nickel, Antique Brass, Satin Brass, Satin Chrome, Polished Nickel, Polished Brass and Polished Chrome finishes. Cabinet Hooks from the Heritage Brass Collection available in Antique Brass, Polished Brass, Satin Brass, Polished Chrome, Satin Chrome, Polished Nickel, Satin Nickel and Bronze finishes. Window Fittings (Stays; Casement Fasteners; Sash Fasteners; Sash Lifts; and Fanlight Catches) from the Heritage Brass Collection available in Antique Brass, Polished Brass, Satin Brass, Polished Chrome, Satin Chrome, Polished Nickel, Satin Nickel and Bronze finishes. This durable malleable Tudor Collection Black Iron range from M. Marcus is hand made using traditional casting methods. 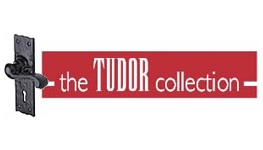 The Tudor Collection provides authentic designs ideal for restoration projects, as well as new build requiring period door hardware. To meet modern design preferences, M.Marcus Architectural Hardware have removed the deep surface indentations found in traditional Black iron, leaving only the natural surface grains to create a rustic yet smoother contemporary appearance. All products in this collection are made from malleable cast iron, treated with a zinc phosphating process and then powder coated to provide a durable black finish. These products are made using molten bronze flowing into cavities within a sand mould. This casting process leaves light surface indentations to bestow a rustic appearance. A light bronze patina is applied by hand on the cast bronze creating a country-style appearance.